Rockville Md., Feb. 5 – As we celebrate Black History Month, which takes place every February, RespectAbility recognizes the contributions made and the important presence of African Americans to the United States. It is important to note this includes more than 5.6 million African Americans living with a disability in the U.S., 3.4 million of which are working-age African Americans with disabilities. Therefore, we would like to reflect on the realities and challenges that continue to shape the lives of African Americans with disabilities. Only 28.7 percent of working-age African Americans with disabilities are employed in the U.S. compared to 72 percent of working-age African Americans without disabilities. This is in line with the rest of the country, with fully one-in-five Americans having a disability and just 30 percent of those who are working-age being employed, despite polls showing that most of them want to work. This leads to approximately 40 percent of African Americans with disabilities living in poverty compared to 22 percent of African Americans without disabilities. Deafblind lawyer Haben Girma advocates for inclusion in both education and Hollywood. Harriet Tubman did not let her epileptic seizures stop her from risking her life to free slaves through the underground railroad. 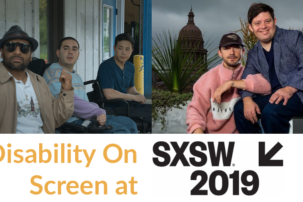 Some celebrities and business leaders are using their voice to share their stories, educating people about both visible and invisible disabilities. They are defying the statistics and have remained highly successful with their disabilities. These role models make a big difference in setting high expectations for youth with disabilities. People with disabilities of all backgrounds can be amongst the highest achievers on earth. 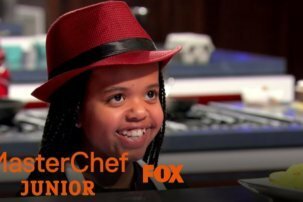 Harriet Tubman had Epilepsy, actress Halle Berry lives with diabetes, business leader and Shark Tank superstar Daymond John is dyslexic and Stevie Wonder is blind. Each of them is a positive role model for success. They are perfect candidates for RespectAbility’s #RespectTheAbility campaign, which is shining a light on individuals with disabilities who are succeeding in their chosen careers. Well-known actress Halle Berry has both Type One Diabetes and hearing loss. Our nation’s economy is strongest when it is inclusive of the value that diverse talent brings to the workplace. 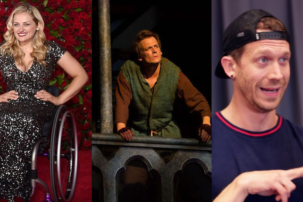 These celebrities are making a difference in how audiences perceive disability. However, companies including Amazon, Starbucks, Pepsi, J.P. MorganChase, Walmart and others exemplify these values and have specific programs to hire, cultivate and promote people with disabilities. What these businesses have found is that employees with disabilities are loyal, successful and help them make more money. The celebrities mentioned above are especially important to acknowledge during Black History Month. However, their work should be valued and appreciated year-round. RespectAbility will be highlighting additional African American celebrities, as well as those who have made important policy advancements, with disabilities throughout the entire month. Thank you for posting this and for all you do! I’ve already shared this with our (global) Special Populations audience. As a woman of color with a (newly acquired) disAbility, I’m a triple threat to many and asset to some. In either case, I use my Intersection of #SuperPowers for good. As such, I’d like to SHARE a similar Respectability article for (differently-abled) Women’s HerStory Month on my social media platforms. Please consider updating your list to include US Olympic Hall of Fame Olympian Wilma Rudolph.